Shows: Harley Quinn, DC Super Heroes Batman Be-Leaguered, Batman Beyond. 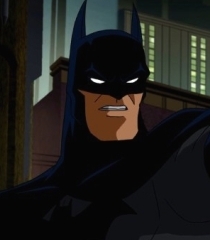 Movies: Batman: Year One, Batman Unlimited: Mech Vs. Mutants, Batman vs. Robin. Games: Batman: Vengeance, Batman: The Telltale Series, Batman: Arkham Origins Blackgate. Shorts: Batman Beyond, Batman Of Shanghai, Batman Strange Days.